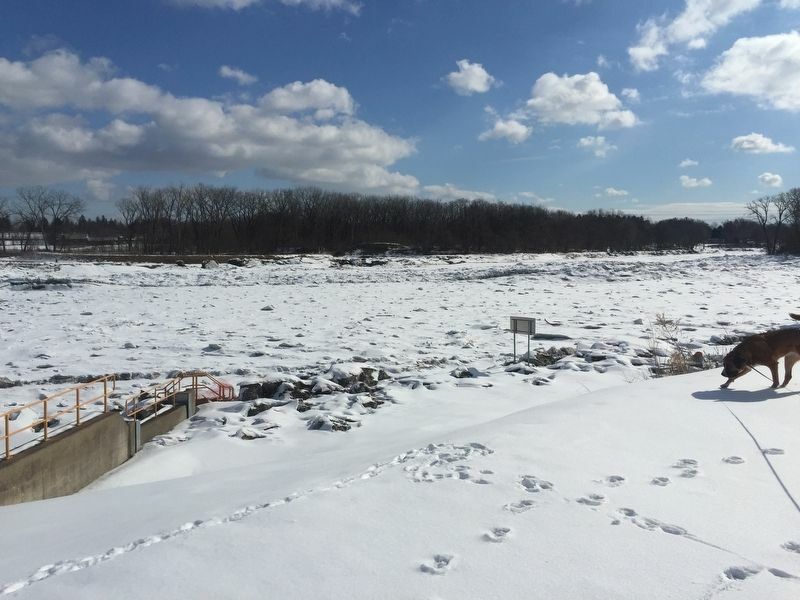 During the winter when the Canal is not operational, the dam's steel structures are lifted completely clear of the water allowing the river to resume its natural flow. Location. 42° 49.701′ N, 73° 59.464′ W. Marker is in Schenectady, New York, in Schenectady County. Marker can be reached from Rice Road. Touch for map. Marker is on bike path just 50 yards to the east of the parking lot at Lock 8. The lot is at the end of Rice Road. Marker is in this post office area: Schenectady NY 12306, United States of America. Touch for directions. Other nearby markers. At least 8 other markers are within 2 miles of this marker, measured as the crow flies. Enlarged Lock 23 (approx. half a mile away); Enlarged Erie Canal Lock 23 (approx. half a mile away); Bradt House (approx. 0.6 miles away); Maalwyck (approx. ¾ mile away); Robert Allen Deitcher (approx. 0.9 miles away); Vedder Family Cemetery (approx. 1.3 miles away); The Camp (approx. 1½ miles away); In Commemoration (approx. 1.6 miles away). Fortunately, they were ready when Hurricane Sandy struck the next year. More. 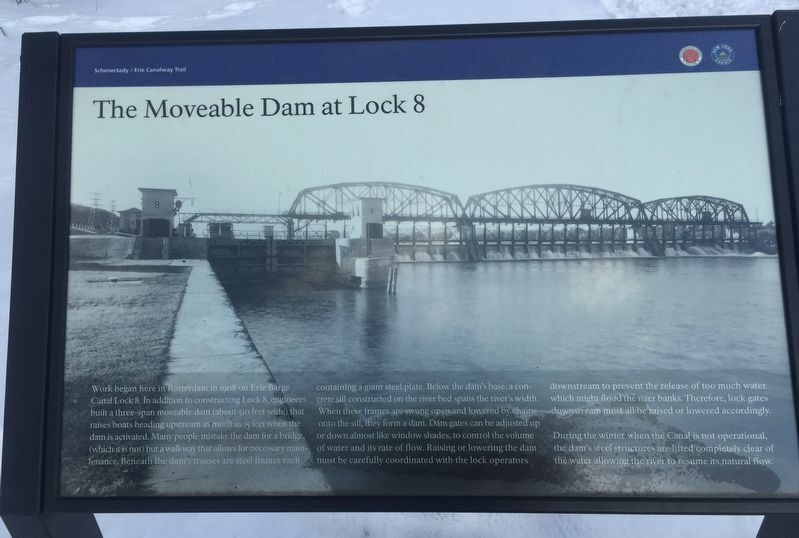 Search the internet for The Movable Dam at Lock 8. Credits. This page was last revised on March 4, 2019. This page originally submitted on March 3, 2019, by Steve Stoessel of Niskayuna, New York. This page has been viewed 56 times since then. 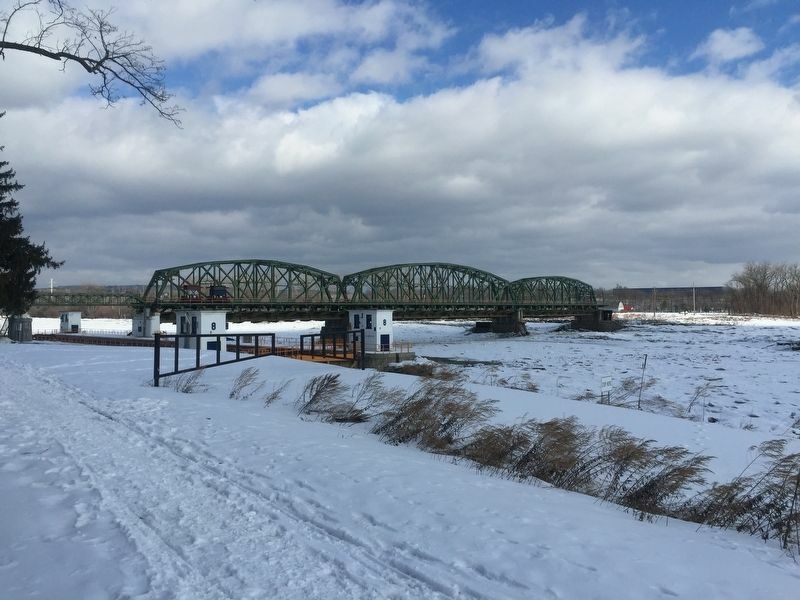 Photos: 1, 2, 3. submitted on March 3, 2019, by Steve Stoessel of Niskayuna, New York. • Bill Pfingsten was the editor who published this page.